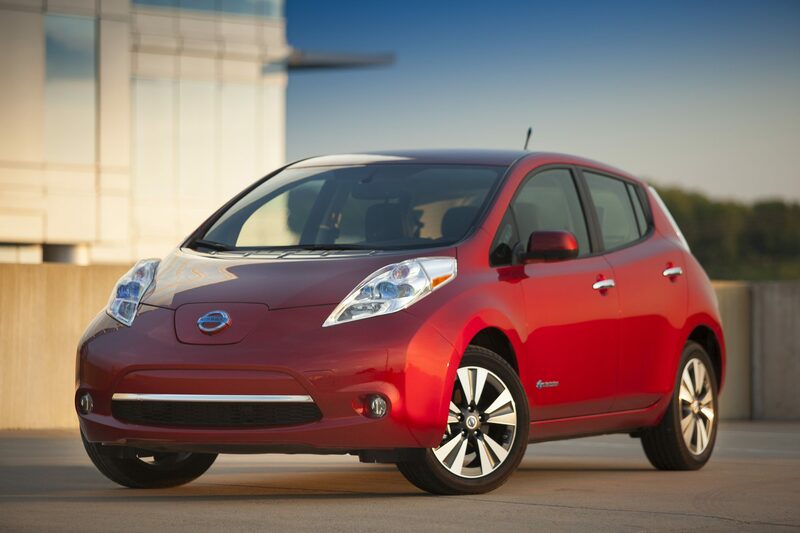 What’s New for the 2015 Nissan LEAF? When the news broke that Nissan was developing a longer-range LEAF for 2016 or 2017, there was rampant speculation that the technology might actually be ready in time for the 2015 model. All of the hype proved to be unfounded, though, and in the end, the biggest change announced for the new LEAF is the deletion of the Morningsky Blue color option and the addition of a new choice called… Blue Ocean. Actually, besides just the replacement of blue with blue, there are a couple of other things to note. Entering its fifth model year, the Nissan LEAF now comes standard with cruise control in the entry-level S trim. Additionally, the SV and SL grades now have hands-free text messaging and Voice Destination Entry (VDE), two features that enable drivers to keep their eyes on the road while texting or navigating. The 2015 LEAF retains the quiet, smooth, fuel-efficient ride that has made it the world’s best-selling electric vehicle. That’s thanks to a 107-horsepower electric motor that is fueled by a 24-kilowat-hour battery pack that’s located beneath the cabin floor. Customers who buy electric cars aren’t doing so because they’re looking for something sporty, and if they are, they should look elsewhere. The LEAF gets the job done, but it doesn’t have a lot of fun while it works. The car has average acceleration, but an energy-saving measure forces you to push hard on the accelerator, which may translate to a feeling of sluggishness for some drivers. This is, of course, still the #1 reason that people buy LEAFs: it doesn’t need a single ounce of gasoline. The LEAF’s EPA-rated electric range for 2015 remains at 84 miles combined, and optional quick charging can juice the Leaf up to an 80 percent charge in under a half hour. If you were taking a cross-country road trip, this would not be the vehicle to do it in. But if you’re a commuter looking for a way to get to and from work every day without stopping at a gas station, this is a great way of getting the job done. The LEAF’s futuristic-looking cabin features an available 7-inch QVGA color monitor that provides navigation, NavTraffic, NavWeather, and information on where the nearest charging station is located. BlueTooth and a trip computer come standard on all models. The Nissan LEAF is roomier than you would probably expect, and Federal guidelines actually classify it as a mid-size car (even though it boasts the efficiency of a compact). The heated front and rear seats are comfortable, and there is plenty of headroom in both sections, but your long-legged friends may object to kicking it in the backseat. The Nissan LEAF is no longer being awarded a Top Safety Pick rating, not because the LEAF’s safety features have changed, but because the competition is stepping up their game and crash testing has become more stringent. So while the LEAF scored a “Good” rating (the highest possible) on four traditional IIHS safety tests, it did poorly in the new and challenging small-overlap front crash test. Still, despite the extra scrutiny that small cars receive from safety hawks, there are still no reported deaths from LEAF crashes, and the National Highway Traffic Safety Administration still gave the 2015 LEAF four out of five stars for overall safety.